John Tipler recently wrote 2 volumes of Lotus racing history. The first (pictured here) covers the period 1948-1968, and the second volume covering 1968 to the present, is subtitled "Dominance, Decline and Revival". Published and released on January 1 2001, they are the latest offering from this author. 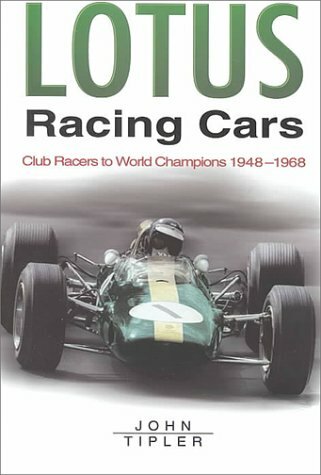 This volume, "Club Racers to World Champions 1948-1968", covering the period that includes Lotus Cortinas, is 160 pages, by Sutton Publishing, and is ISBN# 075092389X. It is available new from any book seller.